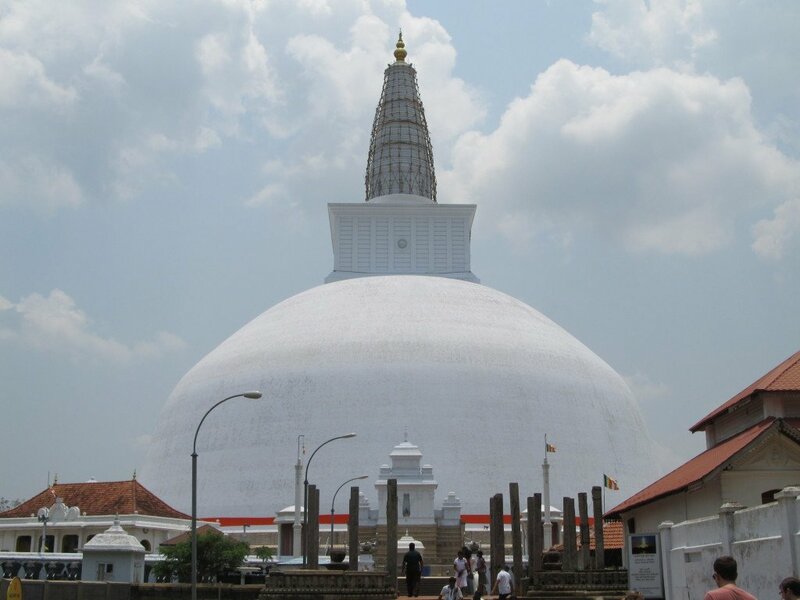 Anuradhapura is a city located in the north of Sri Lanka and is the capital of the North Central Province. It is one of the ancient capitals of the country and well-known for its shrines and well-preserved relics. We made it!After a more than 4-hour ride we finally arrived in Anuradhapura, the first destination during our 10-Day Tuk-Tuk Challenge through Sri Lanka. As it was our first longer experience in travelling the road with a Tuk-Tuk we felt a bit tired. Yet, we had a very warm welcome to this beautiful and sacred town. 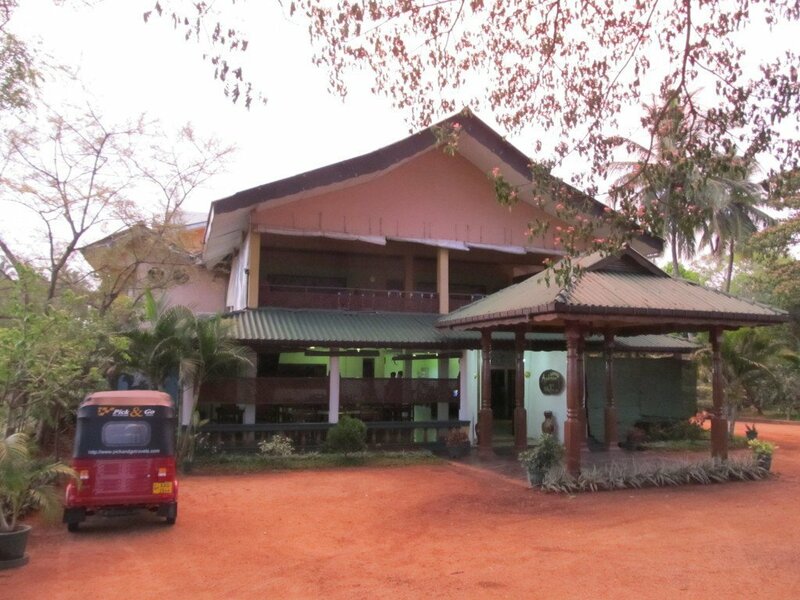 A few days before we managed to book a hotel close to the picturesque ruins of the older city named Nilketha Villa Eco Hotel. Sun was about to set as we parked our vehicle close to the entrance of the hotel. The evening sun reflected on the warm, red sand in front of the hotel as we unpacked our luggage. We were instantly greeted by the house manager and, seeing by how tired and sweaty we were, offered us a nice and cold lemon juice. The place seemed like a safe haven after being on the crazy roads for a long time. It was very peaceful and it seemed like we were the only guests. And what it the best thing to do after a long, hot and dusty journey?Enjoy a nice, cold beer and take a dip in the pool! 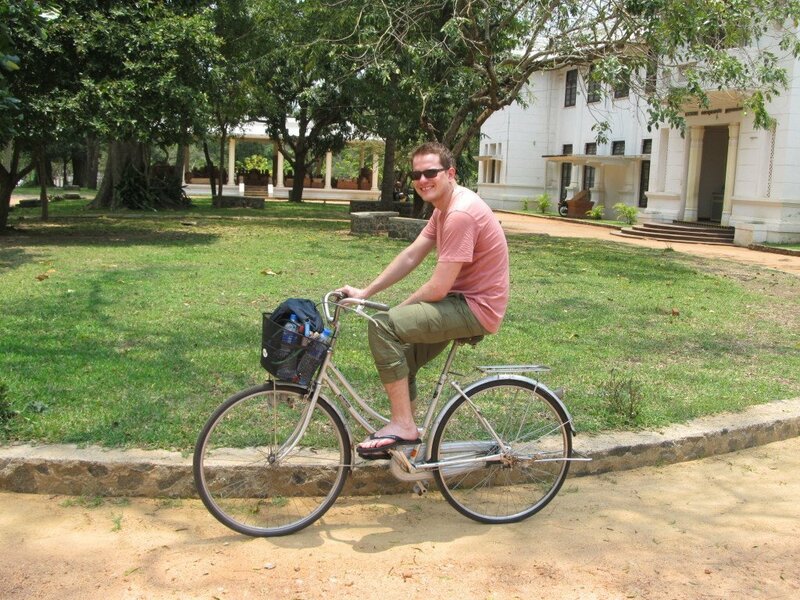 The next day we wanted to discover the ruins of Anuradhapura and were recommended to do this by bike. We chose our bicycles and headed straight to the old ruins which were already in sight from our hotel. It took us around 20 minutes to get there and I was immediately fascinated by the sights. The entire area is covered with huge, bell-shaped Stupas build out of thousands of red, sun-dried bricks. Alongside the path that lead us through the complex, there are many sculptures, temples and palaces. Like in all temples in the Buddhist religion we had to take of our shoes and walked around the Stupas. What I didn’t expect was that the stones were so heated up by the sun that it was close to impossible to not get your feet burned immediately! Monkeys were pretty much everywhere to be seen as we continued our ride along the ruins. 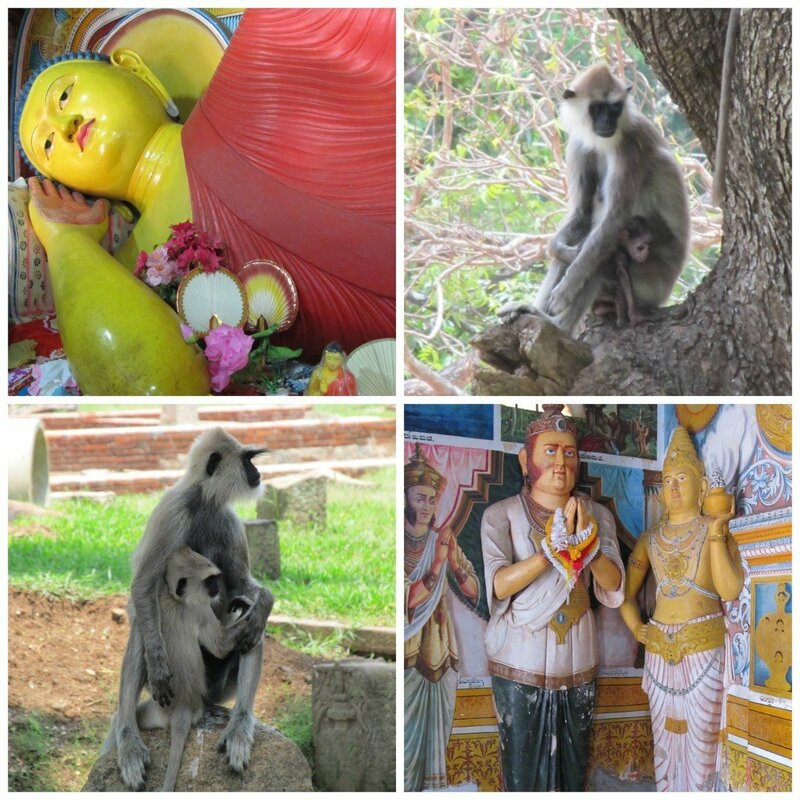 The city of Anuradhapura was once the political and religious capital of Sri Lanka. It is a UNESCO world heritage site and is considered as sacred in the entire Buddhist world due to its many temples, shrines and monasteries. We then reached another huge construction called the Ruwanwelisseya Dagoba. 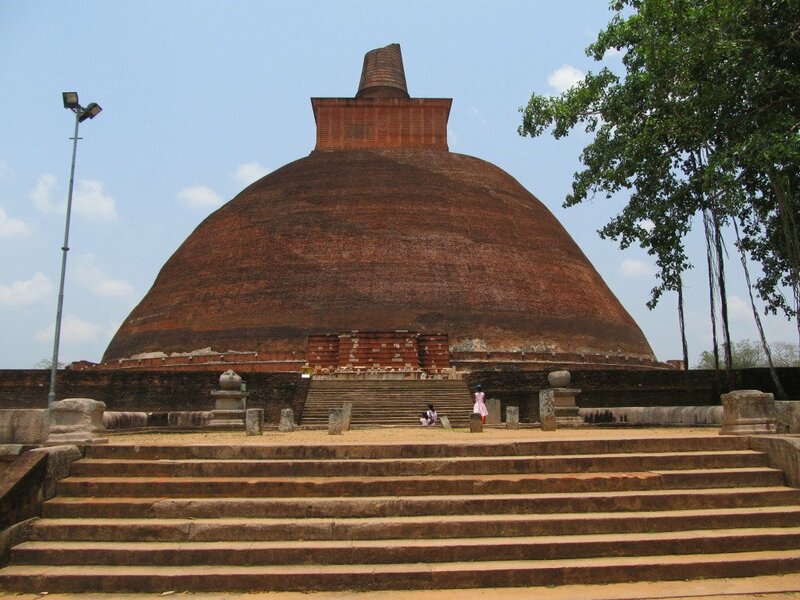 It was clearly the largest building in Anuradhapura and was unique due to its white color. Dagobas, just like Stupas, were built to enshrine relics. Clearly an amazing structure to see. Incredible to imagine how they managed to construct such a building thousands of years ago. As the other places you are also obliged to take your shoes of here. I would definitely recommend to leave your socks on when to decide to walk that area on a hot day. We did eventually take a walk around and discovered some nice motives. We bought some candles and flowers as a sacrificial offering and took a walk around the Dagoba. 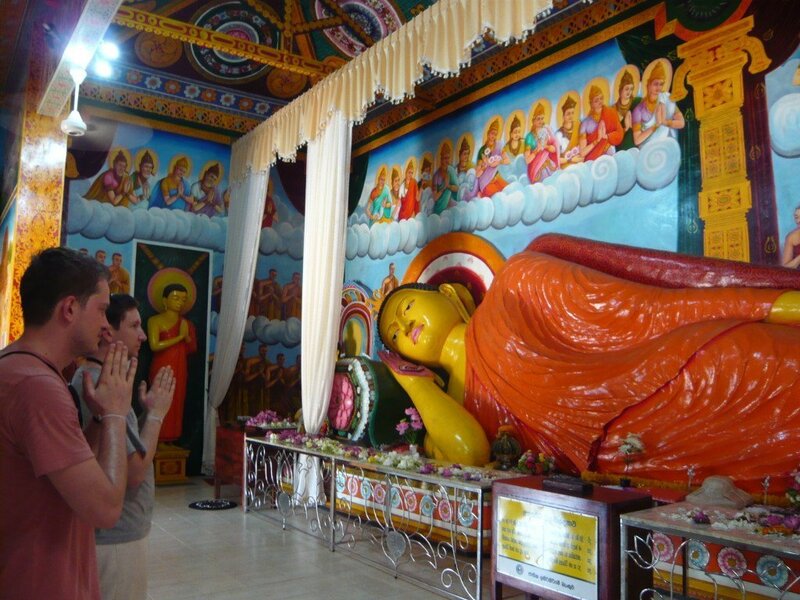 We gave the Buddha inside a quick pray and continued riding the bikes passed some more temples and very old statues. Interesting to see was also the compound of the old Bodhi tree, a very sacred Buddhist tree and believed to be one of the oldest living human-planted tree in the world (Jaya Sri Maha Bodhi). The path towards the tree was covered by hundreds of colorful prayer flags. We continued our journey the next day and unfortunately did not have much more time to see the more of the place. 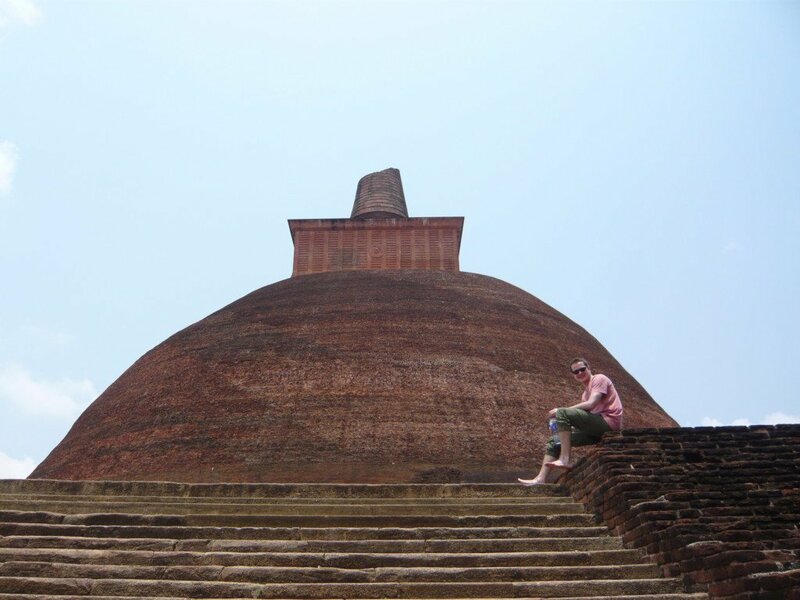 Yet, I believe we made the most out of our time in Anuradhapura. The place has a very positive energy and taking the bicycles to discover these places was the best idea. In that way you can visit many places in one day and enjoy its tranquility while peacefully riding your bike through the ruins. Also, staying in that hotel made it very easy to visit the different sites and it was a clean and nice place to stay. Definitely recommended to stay here for 2-3 days.